West, Mark D. and Jay Rubin. “Epistemological Questions, Boundary Objects and Hopi Myth.”  Social Epistemology Review and Reply Collective 4, no. 12 (2015): 1-13. We discuss the political nature of myth in Hopi culture. The control of ritual and of the interpretation of myth in Hopi culture is the control of political power, and the conflict between the Hopi Traditional Movement and the Hopi Tribal Council has been an intra-tribal attempt to control prophetic myth as a way to gain tribal leadership through the influence of outsiders. The Hopi Traditional Movement, situated largely at Hotevilla and comprised of outsiders to the standing power structures at Oraibi in the Hopi Tribal Council, was successful in that their version of the emergence myth has become the one familiar to most Hopi outsiders. The Hopi Traditionalist Movement’s connections with members of counter-cultural movements who helped spread their version of Hopi myth, involving a ’Hopi Life Plan,’ has had broad cultural ramifications on perceptions of Native American thought and religion. The question of who has the right to define Native thought and religion, however, is an epistemological question as well as a political question. The choice of which of these factions is legitimate is likewise an epistemological and political question, and one which has not been addressed in the research on the topic. We address the outlines of such a question here. Boundary objects are items whose meaning is to some extent agreed upon by the groups which employ them, but which have local meanings idiosyncratic to the specific groups. As such, they can serve as a mechanism by which epistemic communities come to share meanings, or they can act as a source of confusion. In either case, boundary objects serve as a sort of marker delimiting epistemic communities (Star 2010). Boundary objects are objects which are both plastic enough to adapt to local needs and constraints of the several parties employing them, yet robust enough to maintain a common identity across sites. The same object can be interpreted and reinterpreted by different groups of people without the object losing its identity. The object remains the same, but the interpretation of the object may vary across epistemic communities. As Star and Griesemer (1989) suggest, “[Boundary objects] are weakly structured in common use, and become strongly structured in individual-site use”. The meaning of boundary objects is more stable within an interpretive community, but across communities that meaning may be contested, or the meaning may differ without the communicants understanding that the meanings vary. As Fujimura (1992) suggests, boundary objects may be a tool for the creation of shared meaning, or they may be an impediment to mutual understanding (Akkerman and Bakker 2011). Star and Griesemer (1989) argue that “[boundary objects] have different meanings in different social worlds but their structure is common enough to more than one world to make them recognizable.” The use and interpretation of the same object are different to divergent epistemic communities, but there is generally enough commonality between the uses and interpretation that each group finds the uses and interpretations of the other groups recognizable. “The creation and management of boundary objects is key in developing and maintaining coherence across intersecting social worlds,” suggesting that the establishment and cross-group interpretation of boundary objects serves a social function (Star and Griesemer 1989). In the best case, the boundary object serves to bridge epistemologies (Cook and Brown 1999), enabling groups with diverging standards of what constitutes knowledge to communicate with one another. The Hopi who live on their national lands live in eleven villages with a population of approximately 6,000 (one-half of the total Hopi population) on three mesas; these three mesas are extensions of Black Mesa, which is the basis of the reservation of the Hopi, which was established by Chester Arthur, and which lies in the middle of the Navaho reservation. While the Navaho and the Hopi are thought to be ethnically related, there is substantial tension between the two nations, and much of the land the Hopi claim as their rightful territory lies within the Navaho nation. Much of the population of the Hopi nation resides on Third Mesa, in the villages of Kiqöotsmovi (New Oraibi), Orayvi (Old Oraibi), Hotvela (Hotevilla) and Paaqavi (Bakobi). (Geertz 1982; Kunitz 1974; Whiteley 1988). The Walpi, the oldest of the villages, was established in 1690 after the settlements at the base of the Koechaptevela mesa were abandoned when the Spanish returned to the area after the millennial paradise promised by Po’pay failed to materialize after the 1680 Pueblo Revolt (Hackett 1970), in which the Hopi participated (Liebmann and Preucel 2007). Any discussion of the Hopi religion begins, and perhaps should end, with the note that the Hopi are reticent about discussing their religion or their rituals. The visitor to Oraibi, which is at least to some extent the center of some of the more traditional forms of Hopi ritual, realizes that the dances or rituals that non-Hopi are able to attend are shows for visitors, and that the streets upon which the kivas in which the actual religious rituals are held are not only not open to the non-Hopi, they may not be photographed. The reticence that Courlander (1971) mentions is a long-standing matter, and the secrecy of the Hopi ritual acts that Roberts (2008) describes means that even the most-informed researchers often rely on ’informants’ who may or may not be accurately reporting the events which take place in the closed sphere of the kivas. Further, the influence of chiliastic movements of the earliest Columbian era (the Po’pay revolution, with its millennial aspect) or of later messianic cults (the Ghost Dance, or of Mormon missionaries) is difficult to estimate, particularly considering that Hopi ritual practice and myth may vary from one village to another. In addition, tribal lore is a source of political power (Geertz 1994), and as such is limited to certain groups within the tribe, meaning that the value of informants varies. And some researchers, whose understanding of the language is deficient, may have misunderstood what they have been told (Geertz 1982). The majority of scholars seem to believe that the Hopi believe that a small minority of humans took shelter in the lower world when the surface of the planet was destroyed because the majority of the humans had become wicked, having forgotten the ways of humility and good-heartedness to which Tawa, the sun spirit and creator, had hoped they would remain faithful. The few who had stayed faithful to the life-path were led through a vertical tunnel, or a reed, back to the surface of the new, fourth world by Spider Woman; once there, the tutelary spirit Maasaw led them to Oraibi and taught them agriculture. In some variants, Spider Woman creates humanity; in other versions, she intercedes between humans and Tawa (Sekaquaptewa and Udall 1969; Loftin 2003; Geertz 1984). Hopi ceremonial practice, as Loftin (1986) suggests, is a practice crossing the boundary between prayer to, and participation in, the a’ne himu, which is translated as “very something,” very in the sense of intense or extremely, and something in the sense of the unknown. 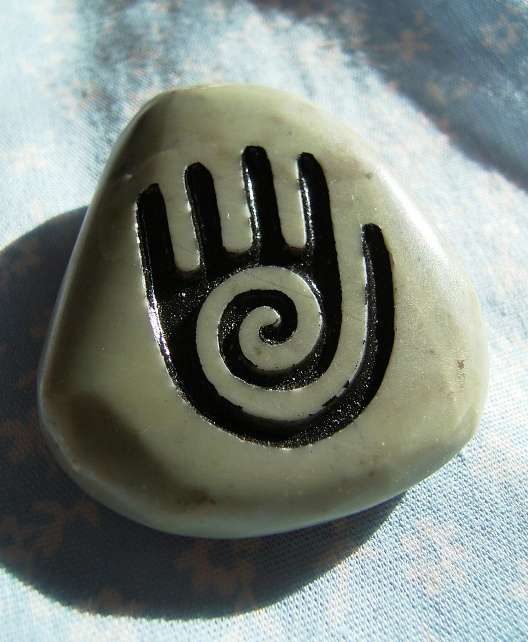 The a’ne himu is the “Mighty Something,” (Kennard 1972; Whorf 1950) the power the Hopi sense behind existence, and with which the Hopi seek to interact through their rituals. At the same time, as Ragsdale (1997) argues, “… some current scholars believe that the myths of the contemporary Indian people are more than mere fictitious illustrations of contemporary morality; they feel that such myths may represent precise, orally transmitted composites of the beliefs, values, and actual histories of the prehistoric societies” (398). While the myths describe mythic individuals such as Spider Woman, the viewpoint supported by Ragsdale holds that they also describe individuals involved in tribal migrations across recognizable portions of the Southwest, thus combining mythic elements with historic events Eggan (1967). As the analysis of Hopi religious terms by Whorf (1950) shows, and the difficulties of understanding the notions of Hopi religious acts described by Loftin (1986) suggests, the idea that an understanding of the Hopi cosmology is readily had by Europeans, or even that European notions of what a cosmology is or ought to be can map readily onto Hopi understandings of the universe, is a trivialization of Hopi thought. Of particular interest in this context is an artifact known as “Prophecy Rock”. In the context of this paper, as will be shown, the boundary object is a petroglyph near Oraibi, Arizona, sometimes called “Prophecy Rock.” The majority of the images available have been substantially enhanced, in order to make the petroglyph more visible; the actual images carved on the sandstone are quite faint, and the sandstone itself is a fairly light gray with a distinct and even grayish grain, running at a 45-degree angle from lower left to upper right. The image itself consists of a larger human figure at the lower left, with some sort of hooked implement in his right hand, facing a vertical line. Across from that is a circle. Surmounting that line is a square on its edge, which introduces a new set of figures at a forty-five degree angle to the figure of the first human. Four, or perhaps five, figures surmount a rectangle to the right of the aforementioned square; the fifth half-figure is only a head, and to the right of the last figure is a line consisting of four 90-degree right angles, leading somewhat upwards. The line described by the base of the rectangles upon which these four (or five) characters stand leads to the edges of the rock, and upon that line, past the end of the rectangles, is another figure, hunched over, and walking with a cane. The impression given by the drawing is that it is telling a story, and that it reads from the left to the right, and that seems to be how everyone reads it, although there is no real indicating of why everyone reads it that way in the drawing itself. Here is one interpretation of the petroglyph, from 1990. This interpretation is provided by Rudolf Kaiser, a German anthropologist who published extensively on the Hopi. According to many Hopi, the Hopi prophecy is also represented by the drawing on the Prophecy Rock on the Hopi Reservation near the village of Oraibi. The figure at the bottom of the rock drawing could be interpreted (as in fact Hopi informants do so) as Massau’u, the Great Spirit, who is showing to the people emerging from the underworld the “Hopi Way of Life,” the line that moves upwards. The sun (or moon) and stars (or a symbol of the four points of the compass) next to this line can be interpreted as symbols of cosmic forces, which are connected to this path. The “Hopi Way of Life” is, after all, characterized by its closeness to nature, especially to the earth, by care of the earth, and by a modest, hard-working, humble, and simple life. But not all people follow this ideal plan of life. This, at least, is how the two lines are interpreted that move to the right of the drawing. “There are two paths that they can follow, the path of the Great Spirit or the path … of the White Man” Katchongva and Tarbet (1977). The bottom line (of the two) would thus represent the spiritual path, the correct path (Kaiser 1990, 68-69). On the cliff near Oraibi, I found a record like this etched on a stone. Below and to the left were three Spaniards, the leader with a sword, the two followers carrying spears. Above and to the right were three natives in an attitude of rolling rocks. Near by was a Spaniard prone on the ground, with a native pouring water on his head. Tal-ti, whose name means “peep of day,” because he was born at dawn, explained to me that the record was made by their ancestors a very long time ago, and that the explanation had been handed down as follows: Their town was attacked by the Spaniards; the commander was a gallant fellow, who attempted to lead his men up the stones, and the Spanish captain was wounded an left by his followers. The people, in admiration of his valor, took him to a spring near by, poured water on him, dressed his wounds, and, when they were healed, permitted him to return. Tal-ti’s description of the scene was quite vivid, and even dramatic, especially when he described the charge of the Spaniards rushing forward and shouting their war cries, “Santiago! Santiago! Santiago!” (Powell 1875, 202). How is a reader of such descriptions to decide between the two interpretations of the petroglyph? Both rely on informants from the Hopi—Powell (and, hence, Geertz) upon Tal-ti, Kaiser upon Dan Katchongva. And both have points of view that lead them to conclude that their interpretation is correct. Kaiser’s argument, in the largest sense, stems from a critique of Western civilization as a whole and a privileging of the Hopi way. We have … a specific link between New-Age thinking and the world-view of indigenous peoples and of nature religions. We sense that our dualistic distinctions between spirit and matter, God and the world, humans and nature, subject and object, do not apply in their view of things. Instead there is an understanding of the holistic connectedness of all that exists. For a people holding such a holistic view of the world, everything would be sacred, imbued with the Spirit, part of a greater Whole, inseparably interwoven (Kaiser 1991, 116). Geertz, on the other hand, sees Katchongva and other members of the Hopi “Traditionalist” movement such as Thomas Banancya, David Monongye, and Dan Evehema as having promulgated an “apochryphal dialog” at odds with traditional Hopi teachings in order to further their own ends. But other Native Americans have found a meaningful niche as “New Native Shamans,” “Medicine Men,” and “Prophets.” A disproportionately large percentage of these were the leaders and spokesmen of the Hopi Traditionalist Movement which actively developed and proliferated apocryphal dialog in relation to European and American interest groups since the movement was established at the end of the 1940s. One of the most successful and dramatic New Age events of the 1980s was the “Harmonic Convergence” on August 16-17, 1987. This event consisted of a global “happening” in which thousands of people gathered at various “sacred centers” to conduct rituals meant to ease the planet into a transition phase to the New Age. The man who conceived the event, Jose Argfielles (1987), promulgated a sensationalized misrepresentation of Hopi prophecy with a little help from Hopi traditionalist spokesman Thomas Banancya. About 50 non-Hopis met with Banancya at Prophecy Rock for two weeks until the Hopi Police Department was sent out to disperse them (Geertz 1996, 395). While the end of the Fourth World and the coming of the Day of Purification are seen as inevitable, those events can be postponed by living according to Maasaw’s covenant. The more people who do so, the longer the inevitable can be put off. Moreover, those who adhere to the covenant will be most likely to survive the Day of Purification and emerge into the Edenic beginnings of the Fifth World. Hotvela (Hotevilla) is a bellwether for the rest of the world. Its survival as a tradition-oriented community is necessary. When the forces of progressivism- represented by the Hopi Tribal Council and Bureau of Indian Affairs especially—successfully bring nontraditional elements into the community, such as electrification and sewer lines, we can soon expect the end. The difficulties of understanding Hopi prophecy are manifold. Hopi prophecy has substantial diversity due to its political nature; prophecy and political power in the Hopi nation are linked in ways difficult for Europeans to understand. The application of prophetic utterances to current events, by individuals of appropriate status, can lead shifts in political power, as Geertz (1994) suggests; and one of the most important events in recent Hopi history, the split of Oraibi village and the formation of Bacavi and Hotevilla villages—an event which played out across the divisions of sukavunqsinom (“common people”) and pavansinom (“powerful people”) which, in important ways, define Hopi life and which had escaped notice by many anthropologists because the divisions of rank were not divisions of material possessions or other categories of note to Europeans (Whiteley 1988). Politics, in the Hopi world, has been defined in a variety of ways, both before and after former anthropological study (Whiteley 1987). The difficulties of understanding the nature of divisions of rank and political structure (Richland 2011), and how such divisions were embedded in religious folkways, which included both the ability to generate and interpret prophetic utterances, are formidable. We may see the dolls as “inalienable possessions” (Mills 2004), but what is in fact alienable is the belief concerning the nature of the dolls; it is not the dolls, but the belief in what the dolls are, that matters. For that reason, understanding the nature of the dolls, and of the rituals in which they participate, and comprehending the origin myths of the Hopi as representing both a depiction of the migrations of the Hopi and the political struggles of their clans, and, at the same time, the autochthonous origin of the Hopi (Vecsey 1983), is extremely difficult for the European. To see the dolls as material objects is to miss the point, as it is to miss the point to see Hopi myth as a garbled retelling of migration tales. Significantly, Hopi conservatives like Tom Banancya still turn to Hopi myths and prophecies, traditional ideological weapons, against the devastating offenses of coal and oil companies, greedy for Hopi resources. Now as then, Hopi myths bend to meet the needs of the political winds (Vecsey 1983, 76). The Hotevilla faction announced a set of prophetic utterances which had existed from the remote past, or which were at least authoritative, which inadvertently agreed with the critique Kaiser, the hippies, and New-Agers sought to make about Western society. We left them to wait for their trial on serious charges of murder! These helpless creatures, helpless, though gods, in the house of Almighty God (Lomavitu, as cited in Geertz 1994, 22). As discussed earlier, Geertz (1982) saw the Sa’lakwmanawyat Sacred Puppet Ceremonial; but note the terms he used to describe it. Are the Sa’lakwmanawyat two puppets, or are they the two little Sa’lako Girls, living beings who actually dance and grind corn? Geertz is clear in what he thinks they are, and in so doing he precisely places the Sacred Ceremonial of the Sa’lakwmanawyat outside of the realm of the sacred, and into the realm of the “oriental,” to use Edward Saïd’s (1985) pregnant phrase. The ceremony becomes exotic and ’tribal,’ or ’aboriginal,’ so to speak, because it is no longer an act of real communion or prayer or magic. The irreality of a’ne himu and the notion that the Hopi understanding of what the two little Sa’lako Girls and Koyemsihoya (“The little Kooyemsi”) are, essentially, means that Geertz comes to the experience of the Sa’lakwmanawyat Sacred Puppet Ceremonial with a different, privileged, and better understanding of it than do the participants—a European understanding. All this, is of course, highly problematic, and raises several questions. Can Hopi ceremonies be understood by someone who is not Hopi? Do the people who reveal the ceremonial practices to Geertz have any more right to do so than Dan Katchongva, Thomas Banancya, David Monongye, and Dan Evehema? Is it even sensible to speak of a ‘Hopi ceremonial practice,’ given the transitory nature of such practice and the political nature of such beliefs? Geertz clearly thinks so, given that the alternative to viewing religious ceremonies from a purely rational standpoint is to do something like what Kaiser (1991) has done, which is to accept the religious tradition one is studying as the Voice of the Great Spirit, as Kaiser’s book on Hopi religion’s title suggests. Puppets who are animated by humans, as Geertz suggests. We conclude, then, that the definition of what the two little Sa’lako Girls and little Kooyemsi are, and what Prophecy Rock means, defines those artifacts as boundary objects. While Akkerman and Bakker (2011) tend to see boundary objects as something which facilitates understandings between epistemic cultures, Knorr Cetina (2009) argues for a less rosy view of such objects; they can, as Knorr Cetina suggests, be “stumbling blocks,” artifacts whose defintion is contested by divergent epistemic cultures and which serve to demarcate the boundaries of meaning. Here, the meaning of Prophecy Rock defines a boundary between those who follow the teachings of those at Oraibi and Walpi, and those who follow those at Hotevilla. It may be the case that the release of prophetic utterances in the 1960s, ’70s and ’80s, and the transformation of prophecy (the ‘invention of prophecy,’ as Geertz describes it) is part of a political move on the part of Hopi who would be defined as sukavunqsinom (“common people”) against the control of Hopi who would be defined as pavansinom (“powerful people”). In the Oraibi split, historians have described the attempt of one faction to use control of religious objects and prophecy to control whether or not the Hopi would accept modern technologies and life-ways, and an attempt was made to enlist outsiders to assist in the struggle for power (Whiteley 1988). Similarly, in the struggle in the 1980s between the Hotevilla ’Traditionalist’ faction and the Tribal Council faction, an attempt was made to enlist outsiders, as well. Geertz (1995) calculated that almost all of the statements of prophecy that appeared in print came from the ‘Traditionalist’ faction, with ninety percent coming from Dan Katchongva, David Monongya, and Thomas Banancya. Conversely, the Progressive faction, which controls the Tribal Council at Walpi and the centers of religious life at Oraibi, has made little in the way of prophetic utterance, but has spoken in its own way. External support for the Traditionalists began when Ammon Hennacy, a writer for Dorothy Day’s Catholic Worker, heard of the Hopi imprisoned for draft evasion, one of whom was Thomas Banancya. Hennacy introduced Banancya and Katchongva to the network of Catholic Worker writers, activists, and pacifists, which, as Cox (1970) suggests, popularized an image of the Traditionalists as the ’true’ or ’authentic’ Hopi, promulgating their prophetic utterances to a variety of New Left activists and spiritual seekers (Haley 2013). Thomas Banancya, born in 1902, was one of the first Hopi to receive a college education, although he never graduated. As spokesman for the Traditionalists, he recruited Euro-Americans to the Hopi Traditionalist Movement’s cause. As Geertz (1995, 247) dismissively suggests, one of the reasons for his success in recruitment was that “… he not only changed his interpretations for changing audiences, but he also changed his drawings to fit the interpretations!” Banancya, along with Craig Carpenter, a Euro-American recruit, enlisted support for their movement in Los Angeles from counter-culture youth. In this manner, the views of the Hopi Traditionalists came to be those which were popularized through the media as if they were the views of the majority of the Hopi—when they were in fact primarily the views of only one faction. In particular, the views of the Hotevilla faction about the Hopi folkways and religion were popularized, such that New Agers came to feel a particular kinship with the Hopi. Discussion of ’the Great Spirit,” UFOs, Prophecy Rock and its depiction of the ’Hopi Life Plan,’ are common on New Age web sites, despite the absurdity of the conflation of a ’Great Spirit’ and Maasaw, who is at the very least an extraordinarily complex figure whose depiction varies substantially between First, Second and Third Mesa (Malotki and Lomatuway’ma 1987). I see support of the Council, and support of the village leaders, as alternatives between which every Hopi political leader much choose. It is not possible to enter reservation politics without taking a position on this issue … What the Progressives stand for then, is generally what the Traditionalists oppose: oil exploration, roads, land claim suits, and installation of utility lines in the villages (Cox 1970, 244). Mails’ description of the ’Hopi life-plan,’ as described by Evehema, explicitly decries the actions of the Hopi Tribal Council Clements (2004, 649), and in its syncretization of Hopi and Christian eschatology sought and achieved support from external forces for the Traditionalists at Hotevilla. What is perhaps most surprising about studies of Hopi mythology is that there is substantive dispute among scholars regarding the Progressive and Traditionalist factions, with Geertz, Haley and Kennard supporting the Oraibi / Progressive faction’s point of view, while Clemmer and Kaiser supported the Traditionalist / Hotevilla faction’s point of view (Clemmer and Kaiser relied on Katchonvga, Evahema and others from the Traditionalist group as their informants about prophecy and ritual.) Epistemic communities formed, and, as is the custom within academia, angry articles and “Responses” were formulated (Geertz 1991, 1995, 1983). In a review by Whiteley (1993) of a book by Loftin (2003), Whiteley argues that Loftin discusses paradoxes which “derive from the author’s muddled concepts rather than Hopi reality;” (p. 123) a review by Geertz (1992, 538) says that Loftin makes “mistakes that even freshman anthropologists would not commit.” What none of the reviewers mention is the split in Hopi life between the Traditionalist / Hotevilla faction and the Progressive / Oraibi and Waipi faction, nor did they mention which side they had relied upon, nor implicitly supported. As such, the epistemic communities, which involve not only an epistemic decision about what Prophecy Rock means but about the whole superstructure of the meaning of Hopi prophecy, but about who may interpret and create Hopi prophetic utterance, had come into play in the evaluation of Loftin’s book. Whether or not Loftin’s scholarship was adequate, the interpretation of myth therein was informed by the Traditionalist / Hotevilla understanding thereof, and was the evaluated by scholars aligned with and informed by the Progressive / Oraibi and Waipi faction. This is not to say that malfeasance was afoot; when understanding Hopi myth, no European (Geertz) or Euro-American (Whiteley, Loftin, or the current authors) can come to the experience without the aid of Hopi informants, and those informants will always already have taken their stand re the Progressive / Traditionalist split in Hopi life. As Eggan (1967) argues, understandings of myth in the Hopi world may incorporate recent historical events in ways that reflect an oscillation between what Europeans and Euro-Americans think of as both ’historical’ and ’mythic’ understandings, leading to precisely the sort of Eliadean conclusions at which Loftin (1995) arrived, as a result of his consultation with the Traditionalists—and which Geertz (1992) decried in his understanding of Hopi understandings of prophecy, as a result of his consultation with the Progressives. We contend that neither was right or wrong, but that they were speaking to one another, and to the larger scholar community, across an epistemic boundary, with Loftin’s book as a boundary object. Hopi religion and political structures are extraordinarily complex and resist reduction into European categories. As we have attempted to show, scholarship about Hopi religion has developed into epistemic communities roughly parallel to the split of epistemic communities that have formed in the Hopi religious and political world itself. Due to the closed nature of the Hopi religious world, this development was probably unavoidable, but it has served to privilege the Traditionalist variant of the Hopi religion in the popular view, and to privilege the Progressive variant of the Hopi religion in the scholarly view. In particular, we have hoped to demonstrate that both Prophecy Rock and John Loftin’s Religion and Hopi Life have become boundary objects in the sense Knorr Cetina (2009) uses the term; both serve as markers for incompatible epistemological regimes. In both cases, the origin of the competing epistemic regimes is most likely the Oraibi split (Whiteley 1988), a deliberate act more than a century ago that continues to be a critically important event in the history of the Hopi people. Perhaps this debate is moot. In the present day, with the decline of the Traditionalist movement after the death of the majority of its members, it is, as Geertz (1994) argues, the Progressive faction which has taken the initiative in defining the direction which the Hopi nation will take as well as the nature of Hopi prophecy—since the informants available to anthropologists will be Hopi affiliated. The definition of Prophecy Rock as a map of the ‘Hopi Life Plan,’ rather than a historical description of a Spanish assault on a Hopi village, has been relegated to a host of New Age web sites. But the episode nevertheless serves to highlight the utility of the notion of boundary objects, and the existence of epistemic communities even within academic disciplines. Akkerman, Sanne F. and Arthur. “Boundary Crossing and Boundary Objects.” Review of Educational Research 81, no. 2 (2011):132–169. Clements, William M. “‘A Continual Beginning, and Then an Ending, and Then a Beginning Again’: Hopi Apocalypticism in the New Age.” Journal of the Southwest 46, no. 4 (2004): 643–660. Cook, Scott D. and John Seely Brown. “Bridging Epistemologies: The Generative Dance Between Organizational Knowledge and Organizational Knowing.” Organization Science 10, no. 4 (1999): 381–400. Courlander, Harold. The Fourth World of the Hopis: The Epic Story of the Hopi Indians as Preserved in their Legends and Traditions. Albuquerque: University of New Mexico Press, 1971. Cox, Bruce A. “What is Hopi gossip about? Information Management and Hopi Factions.” Man 5, no, 1 (1970): 88–98. Eggan, Fred. “From History to Myth: A Hopi Example.” In Studies in Southwestern Ethnolinguistics edited by Dell H. Hymes and William E. Bittle, 33–53. The Hague: Mouton & Company, 1967. Fujimura, Joan H. “Crafting Science: Standardized Packages, Boundary Objects, and ‘Translation’.” In Science as Practice and Culture, edited by Andrew Pickering, 168-211. Chicago: University of Chicago Press, 1992. Geertz, Armin W. “The Sa’lakwmanawyat Sacred Puppet Ceremonial Among the Hopi Indians in Arizona: A Preliminary Investigation.” Anthropos 77, no. 1/2 (1982): 163-190. Geertz, Armin W. “Book of the Hopi: The Hopi’s Book?” Anthropos 78, no. 3/4 (1983): 547-556. Geertz, Armin W. “A Reed Pierced the Sky: Hopi Indian Cosmography on Third Mesa, Arizona.” Numen 31, no. 2 (1984): 216–241. Geertz, Armin W. “Hopi Prophecies Revisited. A Critique of Rudolf Kaiser.” Anthropos 86, no. 1/3 (1991): 199-204. Geertz, Armin W. “The Archaic Ontology of the Hopi Indians: On John Loftin’s Interpretation of Hopi Religion.” Anthropos 87, no. 4/6 (1992): 537–543. Geertz, Armin W. The Invention of Prophecy: Continuity and Meaning in Hopi Indian Religion. Berkeley University of California Press, 1994. Geertz, Armin W. “Worlds in Collusion: On Social Strategies and Misrepresentations as Forces of Syncretism in Euro-American and Native American Affairs.” In Syncretism and the Commerce of Symbols, edited by Göran Aijmer, 84–103. Göteborg: IASSA, 1995. Geertz, Armin W. “Contemporary Problems in the Study of Native North American Religions with Special Reference to the Hopis.” American Indian Quarterly 20, no. 3/4 (1996): 393–414. Goldfrank, Esther S. “The Impact of Situation and Personality on Four Hopi Emergence Myths.” Southwestern Journal of Anthropology 4 (1948): 241–262. Hackett, Charles W. Revolt of Pueblo Indians of New Mexico and Otermín’s Attempted Reconquest, 1680-1682. Albuquerque: The University of New Mexico Press, 1970. Haley, Brian D. “Unexpected Histories: Hippies, Hopis, and Ammon Hennacy.” 19th Annual Susan Sutton Smith Lecture, at SUNY College at Oneonta, Oneonta, New York, 2013. Kaiser, Rudolf. “Prophecies and Eschatological (Millennial) Traditions of the Hopi-Indians in Arizona.” Anthropos 85, no. 1/3 (1990): 65–71. Kaiser, Rudolf. The Voice of the Great Spirit: Prophecies of the Hopi Indians. Boulder, CO: Shambhala Publications, 1991. Katchongva, Dan. From the Beginning of Life to the Day of Purification: Teachings, History and Prophecies of the Hopi People as Told by the Late Dan Katchongva, Sun Clan (ca. 1865-1972). Translated by Danaqyumptewa. Edited by Thomas Francis. Los Angeles: Committee for Traditional Indian Land and Life, 1972. Kennard, Edward A. “Metaphor and Magic: Key Concepts in Hopi Culture and Their Linguistic Forms.” In Studies in Linguistics in Honor of George L. Trager, edited by M. Estellie Smith, 468-73. The Hague: De Gruyter Mouton, 1972. Knorr Cetina, Karin. Epistemic Cultures: How the Sciences Make Knowledge. Cambridge, MA: Harvard University Press, 2009. Kunitz, Stephen. “Factors Influencing Recent Navajo and Hopi Population Changes.” Human Organization 33, no. 1 (1974): 7-16. Liebmann, Matthew and Robert W. Preucel. “The Archaeology of the Pueblo Revolt and the Formation of the Modern Pueblo World.” Kiva 73, no. 2 (2007): 195–217. Loftin, John D. “Supplication and Participation: The Distance and Relation of the Sacred in Hopi Prayer Rites.” Anthropos 81 (1986): 177–201. Loftin, John D. “A Hopi-Anglo Discourse on Myth and History.” Journal of the American Academy of Religion 63, no. 4 (1995): 677–693. Loftin, John D. “Religion and Hopi Life.” Bloomington: Indiana University Press, 2003. Malotki, Ekkehart and Michael Lomatuway’ma. Maasaw: Profile of a Hopi God (American Tribal Religions). Lincoln, NE: University of Nebraska Press, 1987. Mills, Barbara J. “The Establishment and Defeat of Hierarchy: Inalienable Possessions and the History of Collective Prestige Structures in the Pueblo Southwest.” American Anthropologist 106, no. 2 (2004): 238–251. Powell, John Wesley. “The Ancient Province of Tusayan.” Scribner’s Monthly 11, (1875): 193–213. Ragsdale, John W. “Anasazi Jurisprudence.” American Indian Law Review 22, no. 2 (1997): 393–444. Richland, Justin B. “Hopi Tradition as Jurisdiction: On the Potentializing Limits of Hopi Sovereignty.” Law and Social Inquiry 36, no. 1 (2011): 201–234. Roberts, David. The Pueblo Revolt: The Secret Rebellion that Drove the Spaniards Out of the Southwest. New York: Simon and Schuster, 2008. Saïd, Edward W. “Orientalism Reconsidered. Cultural Critique 1 (1985): 89–107. Star, Susan Leigh. “This Is Not a Boundary Object: Reflections on the Origin of a Concept.” Science, Technology & Human Values 35, no. 5 (2010): 601–617. Star, Susan Leigh and James R. Griesemer. “Institutional Ecology, ‘Translations’ and Boundary Objects: Amateurs and Professionals in Berkeley’s Museum of Vertebrate Zoology, 1907-39.” Social Studies of Science 19, no. 3 (1989): 387-420. Udall, Louise. Me and Mine: The Life Story of Helen Sekaquaptewa. Tucson: University of Arizona Press, 1969. Vecsey, Christopher. “The Emergence of the Hopi People.” American Indian Quarterly 7, no. 3 (1983): 69–92. Whiteley, Peter M. “The Interpretation of Politics: A Hopi Conundrum.” Man 22, no. 4 (1987): 696–714. Whiteley, Peter M. “Review: Religion and Hopi Life in the Twentieth Century by John D. Loftin; Seasons of the Kachina: Proceedings of the California State University, Hayward Conferences on the Western Pueblos, 1987-1988 by Lowell John Bean.” Ethnohistory 40, no. 1 (1993): 123–126. Whorf, Benjamin Lee. “An American Indian model of the Universe.” ETC: A Review of General Semantics 8, (1950): 27–33. Submitted for publication in the Social Epistemology Review and Reply Collective, November 20, 2015. The first author is a Professor, and the second author is an Undergraduate Research Scholar, in the Mass Communication Department at UNC-Asheville. The authors would like to thank Patricia L. Furnish, Ph.D., for her helpful comments. Geertz’ astonishing description of the Sa’lakwmanawyat ceremonial is an important exception; even thought Geertz was not permitted to enter until all others had entered, and relied upon drawings and notes from native informants, he saw the ritual.